Being British, they have thoughtfully designed an American version of the website for their U.S. customers in 2011 – Webhost.us.com – with the “intention to offer web hosting on servers located in US datacenters”, which is a happy thought, indeed, as many users might find the process of currency conversion too tiresome… and, after all, the closer to home, the better, you know. The company claims to be “Reliable UK WebHost” and so they seem to be. Its four shared hosting plans can’t be considered the cheapest, however. Yet, they are not entirely shared only: full name is Unlimited Web Hosting plans with SSD. Thus, these are updated shared hosting options we have here. The payment plans are for 1, 2 and 3 years. The cheapest price options for 36 months are presented in the table above. On the website all the prices are in GBP, thus, a little inconvenience for international users. The hosting offers a variation of services as well as domain registration and some SEO and marketing tools. 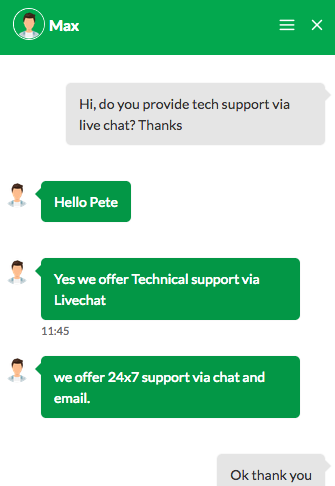 There is a variation of contact options and a prompt-reacting live chat tech support, which is a serious plus not all our listed providers can boast of. You can also contact them by phone numbers and emails (can be found on their contact page). It offers a 24/7 Priority Customer HelpDesk support as well. HRank in 2018: 3.6 and, thus, #175 in our list. Uptime chart reveals an unstable picture in 2018: the provider mostly stayed in the 99%-100% range, yet, there were cases of 98% and 97% as well. Those affected the rank in a negative way. The response time of the domains on the Shared IPs was very slow – 1,200-1,300ms. While the same number of Shared IPs stayed, Webhost.uk.net was gradually losing domains in the monitoring period.